The Maytronics Dolphin Triton Plus is the big sister of the earlier Triton model. 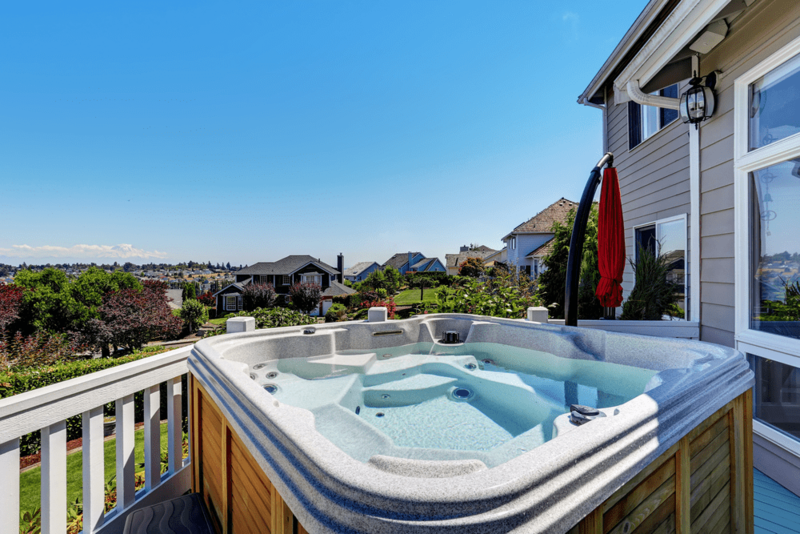 The firm has improved this model by adding features such as dual top access filter cartridges, delayed start timer, intelligent intelliscan diagnostics, and split brushes for complete pool coverage. 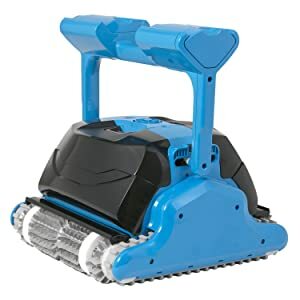 The robotic unit is suitable for scrubbing and vacuuming all pool walls, floors, surfaces, and cover. To ensure total cleaning, the machine is infused with built in software that effectively cleans your entire swimming pool regardless of its surface or shape. This software is similar to the GPS tech in a car, telling you the best route to take from your starting point to your destination. The robot scans your pool and calculates its size, dimension, and learns its shape in order to maximize the surface coverage – in the most efficient and effective way. 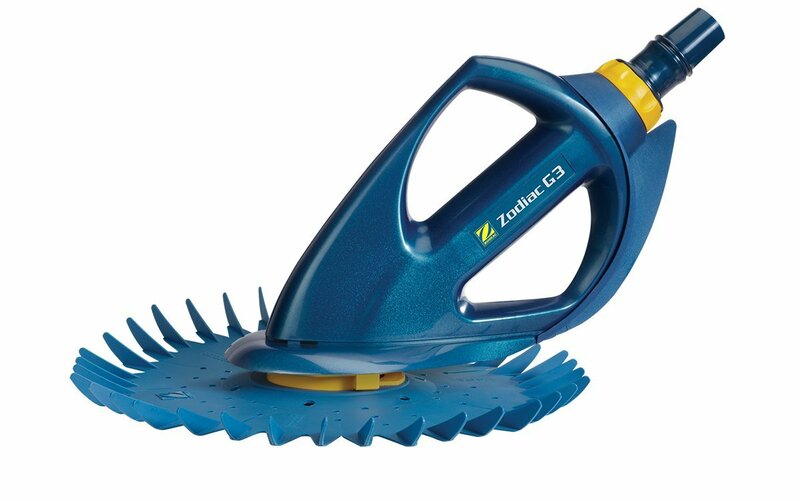 Additionally, the cleaner comes with patented swivel cables that eliminate tangling when cleaning your pool. As it moves around your pool, its swivel makes sure that the cables stay clear and free, enabling for faster and complete pool cleaning. This means that you will not need to deal with surfaces of the pool that aren’t cleaned due to a tangled robot. There is no hassle cleaning from the word go to halt. It also boasts of HyperBrush tech which is simply moving brushes. These brushes are able to move faster that the unit (twice the speed) to ensure that your pool is cleaned thoroughly. 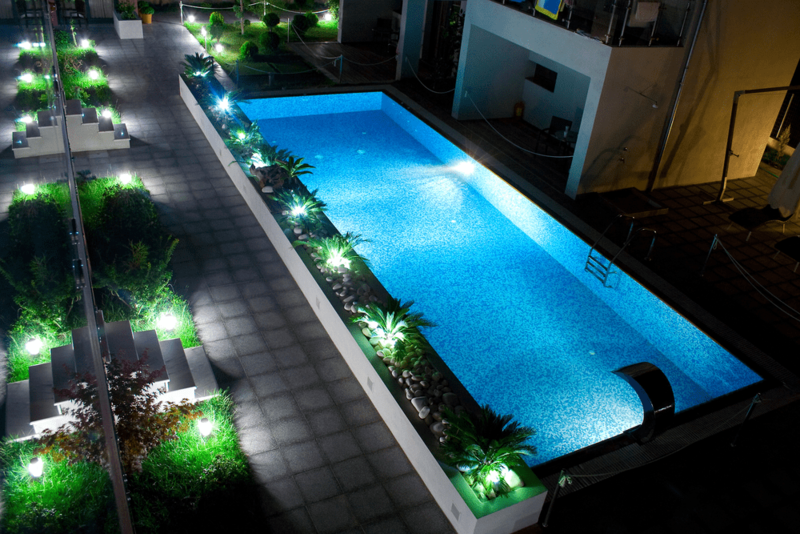 The brushed are also able to turn at a high speed to scrub all surface of your pool effectively. This is even enhanced by the machine pushing down on the surface. More speed plus more pressure is equal to a shinier pool. Furthermore, Dolphin Plus features 2 full sets of effective filter cartridges: a mesh screen for rough filtration and a pleated polyester fiber cartridge for fine filtration. This means that you will be able to filter out large rubbish from your water and smaller as well, resulting in a cleaner, fresher pool. Your unit will enable you to know when it is not working at its peak performance due to a jammed filter. When the full bag signal light comes on, you will know it is time to empty your robot. The other notable feature of this unit is its basic remote control. The remote control enables you to touch-guide your robot and facilitate easier navigation. It comes with ability to select between the ordinary 2.5 hours slowly mode and 1 hour faster mode. In both modes, the machine is able to cover the entire pool. In addition, you may pre-set your entire week cleaning schedule by just a press of a button. For instance, you may set it to clean every 24, 48, or 72 hours for three consecutive cycles. Last but not least, the firm has included a caddy. This is a great addition to this unit as it leads to easier transportation and storage of your gadget. In addition, it keeps your robot neatly packed in one place. It is a good organizational accessory. 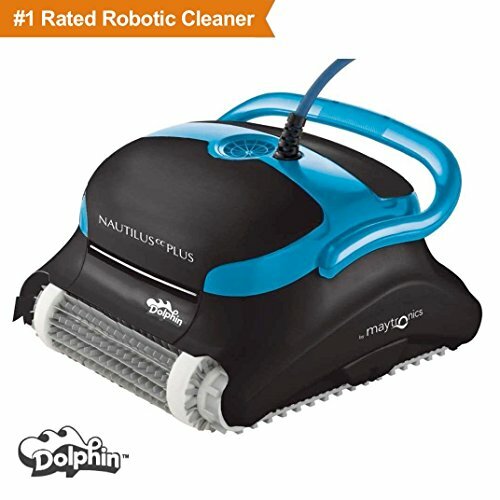 Here is a video review of Dolphin Triton Plus Robot Pool Cleaner. Dolphin Triton Plus is lighter 50 percent than the previous model. 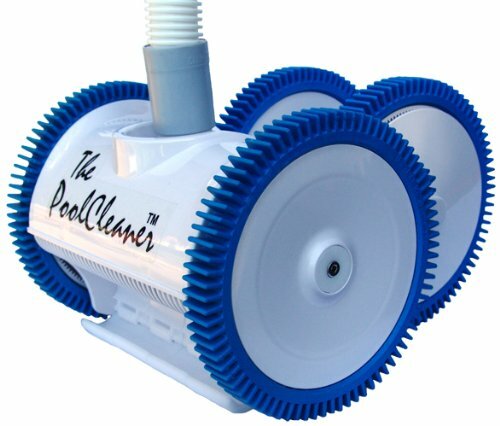 The machine features easy setup ability of 2.5 hours and 1-hour cycle that cleans all the corners of your pool. 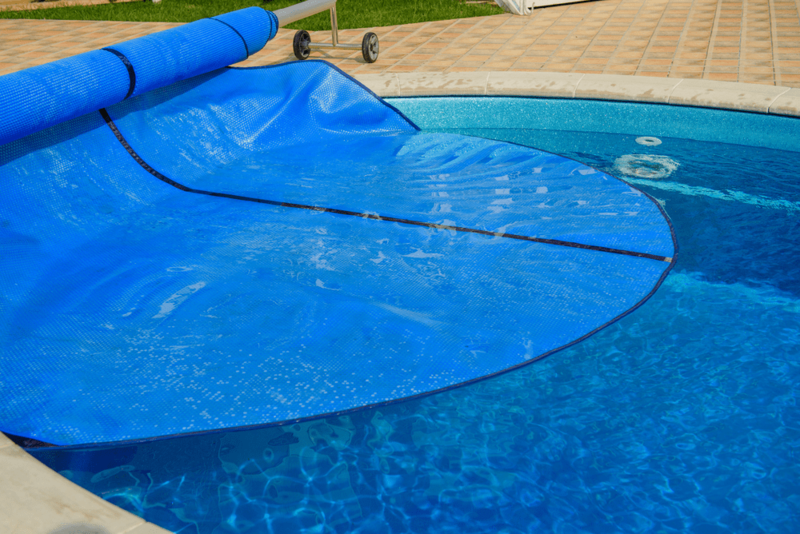 For pools of over 50 feet, the unit comes with a 60 feet swivel cord which is tangle free. Ability to climb and clean walls as well as scrub walls and floor. Extra-large easy to clean net basket. You don’t need to connect it to a swimming pool pump. Features a caddy for better storage and transportation. An affordable product – you don’t need to break a bank to get one. Very effective in cleaning your pool. Uses a filter cartridge technology that is easy to clean. With the exception of insufficient real warranty info (which is the only major con), this unit might be a great choice. 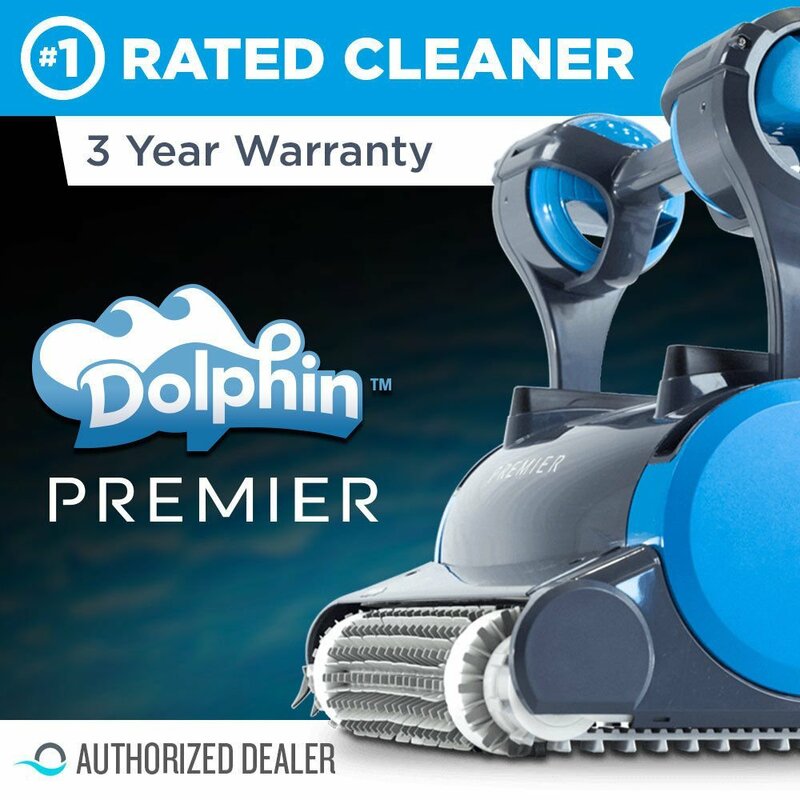 If it is within your price range, and the previous shortcomings of its smaller sister, Dolphin Triton Cleaner, are affecting your operation, consider getting this model. 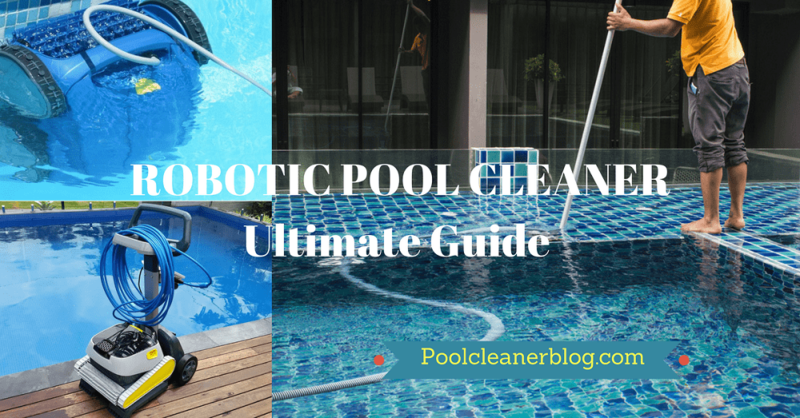 This is without a doubt among the best robotic pool cleaners on the market today.